The Duneland Chamber of Commerce will be conducting an essay contest to kick off their Hometown Holiday Celebration being held on Saturday, November 24. Whether it’s good smells, twinkly lights, warm company or an extra sense of peace in your heart, the Chamber would like to hear from you. Share your favorite holiday memory. The winner will win a $50 gift card, conduct the fifth annual tree lighting ceremony in downtown Chesterton and be the grand marshals in the Twilight Christmas Parade. The essay must be 500 words or less and be a written by a Duneland resident under the age of 14. Mail to the essay to 220 Broadway, Chesterton IN 46304 or email to [email protected]. Visit the Hometown Holiday Celebration event page on the website for more information and to download the essay form. Essay forms can also be picked up at the Duneland Chamber of Commerce. Submission deadline is November 9 by 5:00 pm. 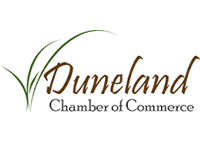 Make sure to like the Duneland Chamber of Commerce on Facebook and keep an eye on the website, www.dunelandchamber.org, to learn more. For questions about how to participate in any part of the Hometown Holiday Celebration, please call the Chamber at 219.926.5513 or email [email protected].